The first quarter of 2017 has been a marathon for our recruiting team! 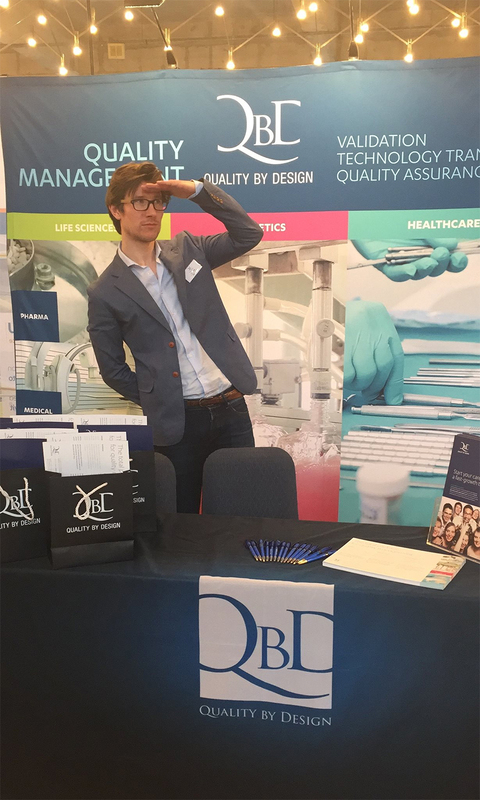 We have been to the best job fairs, looking for the best candidates to join our ranks across borders. 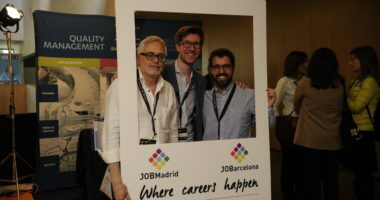 We sent eyes and ears to job fairs in Leuven, Ghent, Utrecht, and even as far as Barcelona. And we have not even broached events on the other side of the ocean. The scope and reach of these fairs ranged from specialized biology and pharmacy events to general engineering. 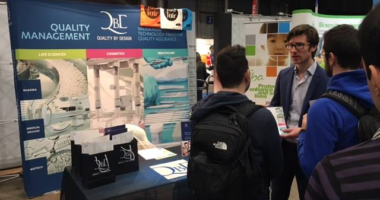 It started with the specialized fair in Ghent on 22 February, where Hannah and Lodewijk (HR business partners at QbD) went to make acquaintance with young bio-engineers. Many other companies from the industry were present, but we managed to host more interested visitors than our neighbours. “They asked if we hired a bus full of people to pay us a visit, because they couldn’t believe the mass that crowded round our booth. ” – Lodewijk said. “Of course, that makes it even more fun!”. 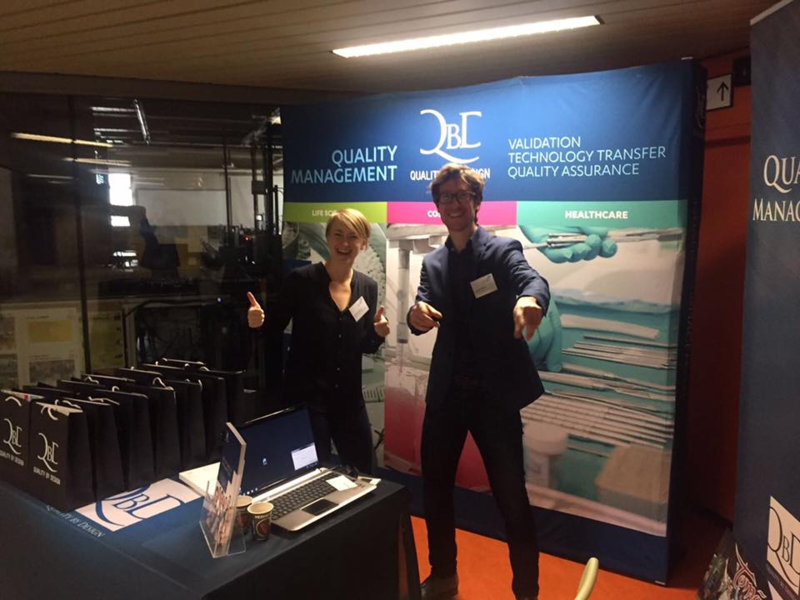 Two days later, we talked to a diverse group of graduating engineers at the VTK job fair in Leuven. 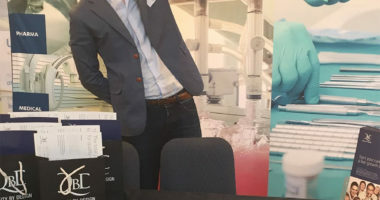 Some of these young graduates might not have considered a career in the pharmaceutical industry, but “it’s always nice to surprise them by giving them insight in the nature of the sector and what it’s like to work in life sciences,” Hannah added. 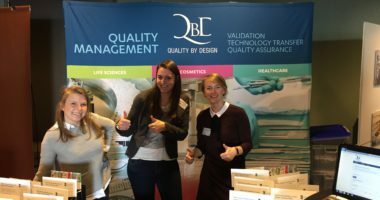 This was not the case on 25 February in Sint-Katelijne Waver, where “Pharma Career day” took place and where QbD already is a prominent name among students. 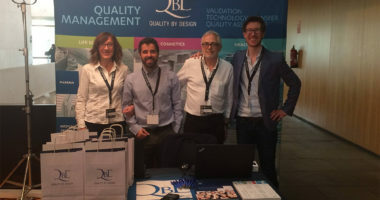 In March, Lodewijk flew to Barcelona for the ‘JoBarcelona‘ fair! As we could have expected, visitors did not exactly peak during siesta hours. On the other hand, the fair went on till late in the evening, compared to our experience at BeNe fairs. In the end, more than 100 Spanish talents registered in our database – making the event a remarkable success. 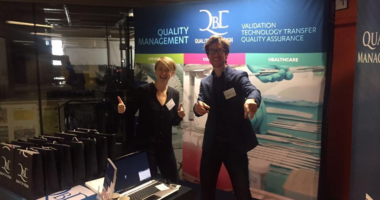 Then it was back to Leuven for the Bio-engineers’ day on 22 March. Our reputation preceded us here as well, as many KUL alumni are proud QbD consultants today. 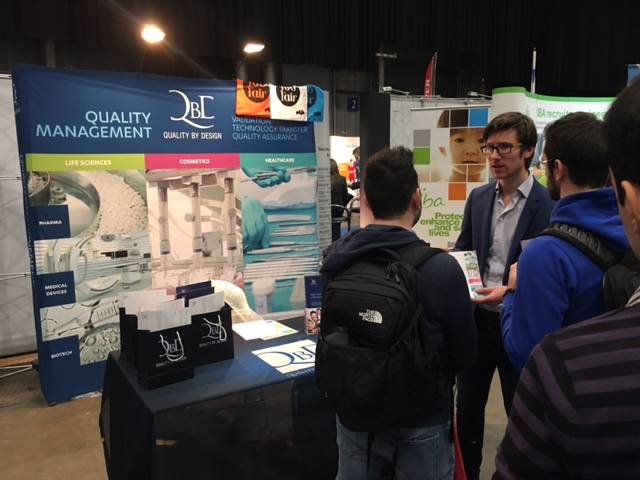 On the 28th we returned to Ghent, for another general graduation fair where students from many backgrounds could talk to potential employers. Check our photo gallery for a glimpse of the action! 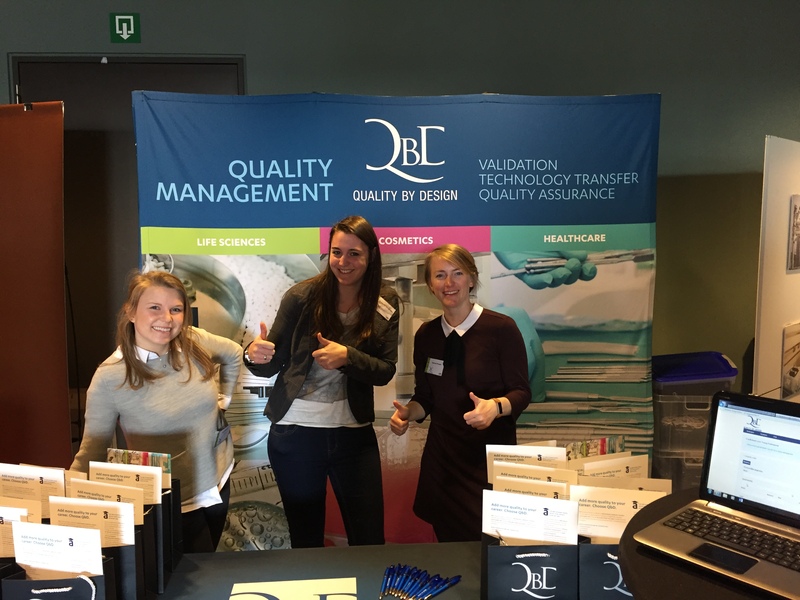 Our teams gladly answered questions and gave a first taste of what it’s like to work for QbD at all those recruiting events. The mere nature of our sector as well as the varied projects we work on attract such young graduates in an environment that is anything but boring or static. “We’re also looking for people who want to make a difference in other people’s lives, and that is quite the case for our projects,” Hannah said. These are precisely the type of driven and conscientious young people we are looking for. The job fairs enable us to take the pulse of young graduates’ needs as well. 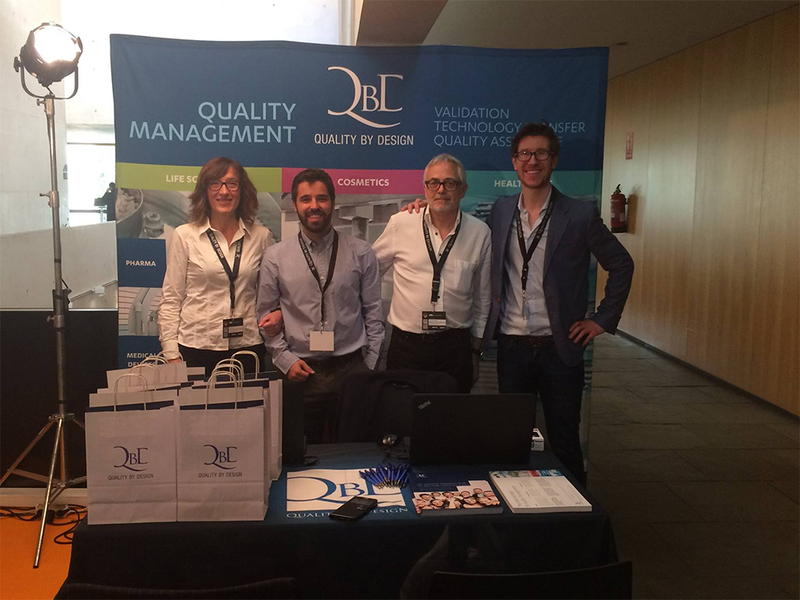 Not only do they show interest in the content of the job, but also in the corporate culture, whether they get support and extra training, the diversity of the projects … – elements in which QbD proactively and continuously invests! How do we follow up on such interest? 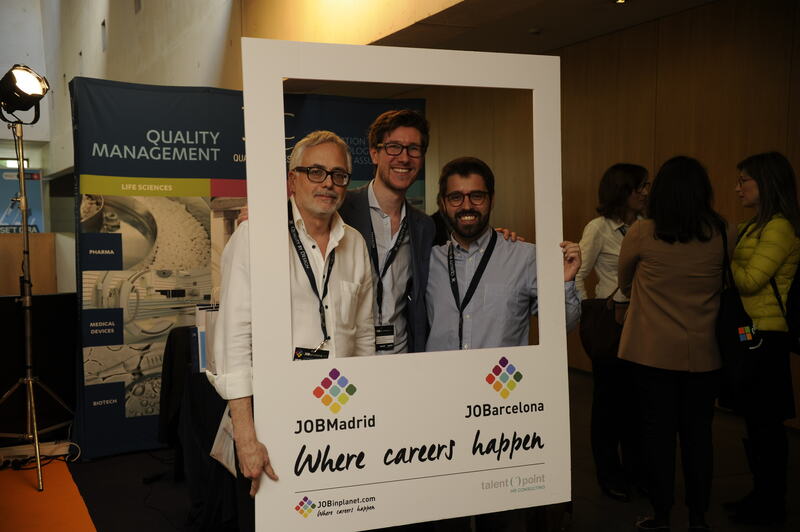 During the QbD job days, a selection of candidates are invited to participate in group activities, presentations, and ‘speed date’ interview sessions with our HR team. The first job day for 2017 was held on 11 April and elicited a lot of positive feedback from the participants. But we are not there yet, for this first half of the year. Another job day is coming soon on 4 May. 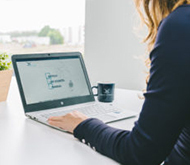 Moreover, there’s an upcoming job fair in Utrecht on 11 May and another one in Mexico from 25 to 28 April – even more opportunities to gather and nurture the best potential in the market. Find out what QbD has to offer!